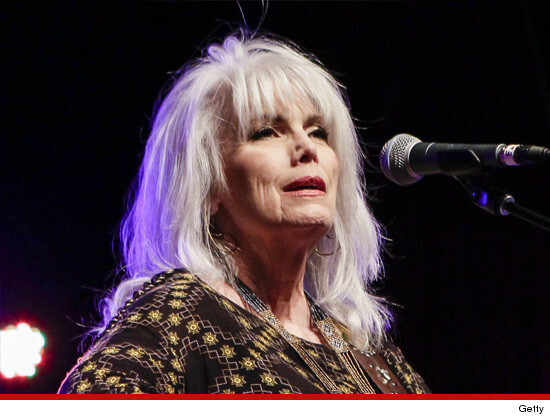 Emmylou Harris has new material for her next hit ... she just pled no contest in her hit-and-run case. Harris allegedly hit a car on an LA freeway back in October, 2012 and then sped off. Her defense -- she didn't realize she had struck another car. Yeah, it's thin. Harris just pled no contest to a lesser crime -- failing to provide information to the other driver at the scene of an accident. She was also ordered to pay $5k to the victim by the end of the week. The crime is an infraction, so Harris will not even be placed on probation. Sounds like a good song to us.